Old Fashioned Service - Honest Answers With Maine Values! A broken dishwasher means more time at the sink-call now! Washers and dryers work hard for you! Your fridge is complicated and has secrets-call early if something seems wrong! Making meals or making reservations-we strive to help you quickly! We are experts at appliance repair and offer the best in customer service. Our services include but are not limited repairing dishwashers, ovens, stoves, dryers, washing machines, refrigerators, wine coolers, etc. 2. When we talk on the phone we plan on discussing your problem and through our conversation of playing Sherlock Holmes and Dr. Watson, Mike can commonly diagnose the problem. Then with the model number furnished from you off the appliance and a little research he can give you an estimate. Based on the repair cost and the age of the appliance you can make a good decision on repairing or replacing. We do not want you to waste your hard earned money! 3. Our goal is to be honest, affordable, and reliable. 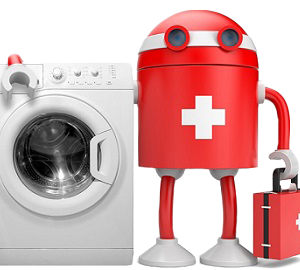 When we talk on the phone if we can diagnose the problem we will discuss price and if the your appliance is worth fixing due to cost, future availablity of parts, and age of the machine. WE DO NOT WANT YOU TO WASTE YOUR HARD EARNED MONEY! 4. We have evening and Saturday appointments so you don’t have to miss work and use your vacation or personal time. 5. See testimonials below to see what some of our customers are saying. 6. Mike teaches appliance repair in Baltimore a few times a year. If you want to learn he welcomes teaching you during your repair! 7. Pet Friendly. They make the best foreman. 8. We treat our customers as neighbors and want you to spread the word of our good service. While I was in Nevada and had a problem with my house in Sabattus I was so relieved that you could go fix my problems the day that I called you. You saved me potentially thousands of dollars in water damage and my wife thought I was a hero! Calling the Appliance Doctor last Saturday was the best thing I did. My husband had the kitchen torn apart since Wednesday trying to put in a garbage disposal and he had most of it done but was running into problems. I called the Doctor and he finished the job while letting my husband help. I got my sink, dishwasher, and new garbage disposal back that day and my husband got the job done(with some help)! When my washing machine was on its final legs you gave me an option which allowed me to continue to do my laundry at home until my new machine came in! With a family of 3 females I was a hero not a zero! thank you! Call Mike on this cell now (207) 458-3377 to discuss your problem! Call anytime between 6:00 a.m. & 9:00 p.m. / 7 days a week--don't wait we might be just around the corner! Old Fashioned Service-Honest Answers with Maine Values! From the greater Portland area all the way north to the greater Waterville area and back down the coast… For fast results- text Mike, 207-458-3377 and he will contact you as quickly as possible.